"When God receives a request from Fátima to help prevent a war between Fidel Castro and JFK, he asks his son, Jesus, to return to Earth and diffuse the conflict. On his island, Fidel Castro faces protests on the streets and realizes that he is about to be overthrown. Alone, surrounded, and aware that the end is fast approaching, he plays his last card. Meanwhile, Christ arrives on Earth and teams up with Fátima, who is convinced she can create a miracle to avoid the final battle between JFK and Fidel Castro and save the world as we know it." 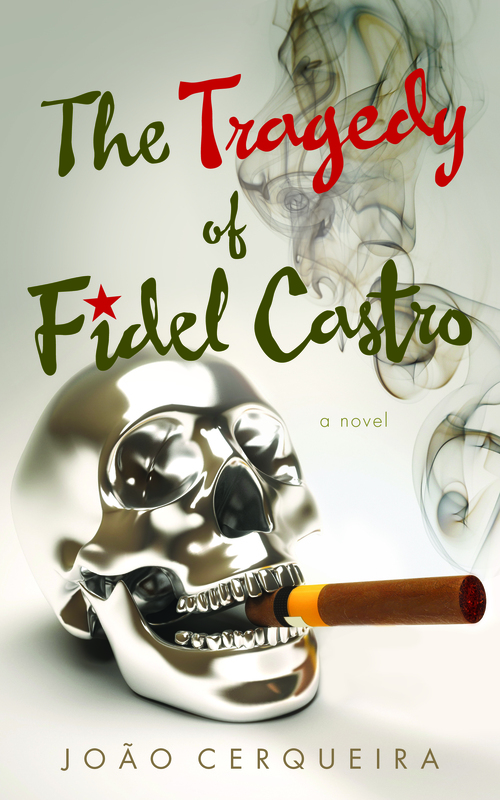 As the world becomes less religious and more irreverent, literature reflecting this attitude has become increasingly common, with Joao Cerqueira's novella, The Tragedy of Fidel Castro, fitting neatly into this category. However, there is no danger of Cerqueira being subversive for the sake of it; his mischievous and tongue-in-cheek style of writing is innovative and all his own, blending the mild blasphemy of Jean-Louis Fournier (author of God's CV) with the outright mockery of Joseph Heller (as manifested in his classic Catch-22). Cerqueira makes us think hard straight away thanks to his Chomsky-like strategy (informing us glibly that the Fidel Castro, JFK, Jesus and God characters bear no relation whatsoever to the real historical figures), making it difficult - in a fun way - for the reader to separate cultural associations from the words used. While occasionally a little convoluted, and with more direct speech being a potentially positive addition, Cerqueira is by turns wryly funny, deeply ironic, and a provider of hugely effective descriptions and richly layered yet accessible metaphors. Equally, Cerqueira's focus on situations and events rather than on character development is a further masterstroke, making individuals seem like pawns at the plot's mercy. These aspects all combine to make The Tragedy of Fidel Castro highly competitive with the very best satires in its blackly humorous portrayal of a sobering reality. In addition to this, Cerqueira owes another debt to Joseph Heller - his patchwork approach means that we cut between scenes rapidly and cannot always see immediately how they fit together. However, this is not necessarily something to take badly (whereas the author's intermittently patronising footnotes are). Ultimately, the story's iconoclastic and mildly atheistic standpoint makes the story deftly layered, making it merit rereads by all satire-lovers.